Courtesy of Ariana Grande` on YouTube. Ariana Grande's new song empowers independence and confidence. Ariana Grande released her new single, “Thank U, Next”, in response to her past romances with Big Sean, Ricky Alvarez, Pete Davidson, and Mac Miller, and may be the best breakup song in the pop genre. All of the relationships had flaws, which has made her stronger and more independent. The single hit number one on the Billboards’ “The Hot 100” — certified platinum. It is also number one on Spotify’s “Global Top 50” and “United States Top 50”. The singer has been through a lot the past 18 months, from the Manchester bombing during her “Dangerous Woman” tour, Miller passing away, to calling off her engagement with Davidson. She has also received an abundance of hate on social media for causing Miller’s death (she called off the relationship and got engaged to Davidson shortly after their breakup, resulting in his drug use as a coping mechanism). Despite all of this, the singer has been in positive spirits, not letting the negativity get to her. The song is unique, in comparison to the typical pop-love song. It has a jazzy beat, with a perfect tempo and catchy rhythm. Rather than directly bash her exes, Grande expresses the lessons she has learned. At the beginning of the song, the singer adds a classy spin in retrospect to her exes’ impact: “One taught me love/One taught me patience/And one taught me pain”, teaching young girls to be the bigger person. Grande then reveals her self-growth: “She taught me love/She taught me patience/She one taught me pain”, emphasizing confidence, feminism, and independence. Towards the end, she ends on a pleasant note, expressing gratitude towards her family and mom (Joan Grande) for love and support: “I’ve got so much love (love)/Got so much patience (patience)/I’ve learned from the pain (pain)/I turned out amazing (turned out amazing)”. “‘Thank u, next’ is an amazing song. The beat is good, and it deviates from the usual breakup song”, senior Amelia Fordyce said. “It’s good, but it’s a bit repetitive so it’s not something that I would keep in my playlist”, junior Miraal Maqsood said. “I love it and Ariana! We love a good bop!”, sophomore Jackson Wood said. “I think it’s an incredible song that is empowering for women to be independent and look at past relationships in a positive way and be grateful for the good things that came out of them”, senior Michaela Loura said. 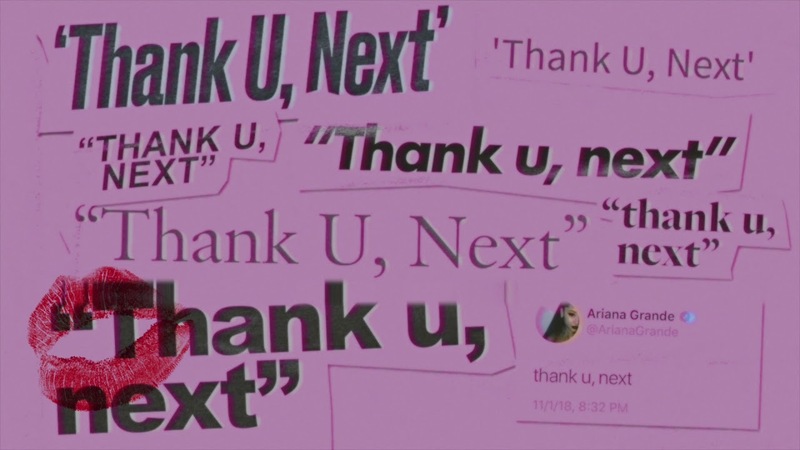 “Thank U, Next” has a unique spin on breakups, from its musical elements to inspirational lyrics, emphasizing the importance of gratitude, growth, and independence. Read more about Ariana Grande here!